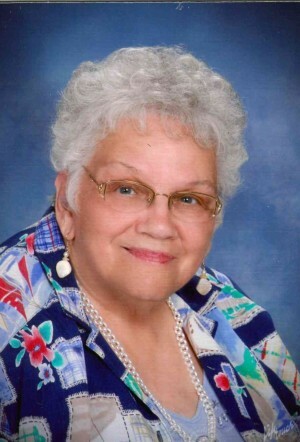 Obituary for Ethel (Salvo) Livingston | Thompson Funeral Home, Inc.
Ethel S. Livingston, 85, of Orangeburg passed away on Thursday, August 16, 2018. Funeral services will be held at 1:30 P.M. on Saturday, August 18, 2018 at Northside Baptist Church in Orangeburg. Rev. Donald Carl Kirby, Jr., Dr. Shane Stutzman and Rev. Jim Parnell will be officiating. Burial will follow at Memorial Park Cemetery. The family will receive friends from 12:00-1:30 P.M. at Northside Baptist Church prior to the funeral service. Pallbearers will be Ricky Baltzegar, Douglas Kirby, Dean Kirby, Robbie Axson, Jerry Johnson, Andy Johnson and Matthew Livingston. Mrs. Livingston was born on June 18, 1933 in Orangeburg County. She was the daughter of the late Ralph McGee Salvo and the late Lovinia Friendly Salvo. Mrs. Livingston was the owner and operator of L and S Dry Cleaners. She was a member of Northside Baptist Church and the Willing Workers Sunday School Class. Mrs. Livingston was predeceased by her husband, Fulton Dukes Livingston, Sr.; son, Fulton Dukes Livingston, Jr.; sisters, Eloise McMichael, Ruby Baltzegar and Annie Marie Salvo. Survivors include two sons, Colie Neal Livingston of Orangeburg and Greg (Tara) Livingston of Orangeburg; grandchildren, Megan Livingston, Shawn (Hayne) Turner, Matthew Livingston, Ashley (Charlie) Murphy, Bailey Livingston, Marshall Livingston; great-grandchildren, Maddox, Dakota, Micah, Catherine, Thomas; sisters, Pauline Johnson, Janie Dangerfield and a number of nieces and nephews. Friends may call at the residence of Colie Livingston, Greg and Tara Livingston or Janie Dangerfield. Memorials may be made to Northside Baptist Church at 1250 Columbia Rd, Orangeburg, SC 29115.